Welcoming Jackie Dujmovic to our Advisory Board! We’re so thrilled to finally make it official that Jackie Dujmovic is on the WeRobotics Advisory Board! We write “finally” because Jackie has already been directly engaged with South Pacific Flying Labs, providing guidance, training and mentoring to the Flying Labs team in Fiji. 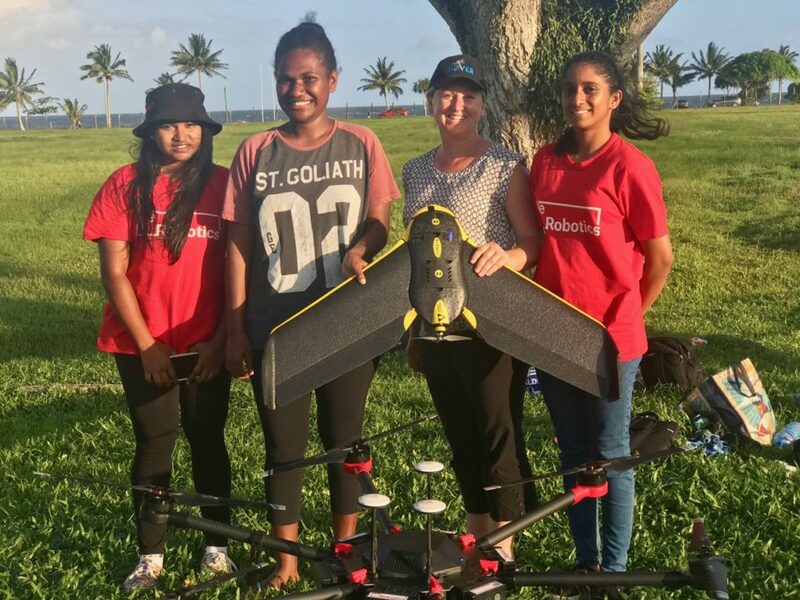 What’s more, Jackie co-ran a week-long, hands-on training for South Pacific Flying Labs, which enabled 5 young professionals from Fiji and Vanuatu to get officially certified as drone pilots. 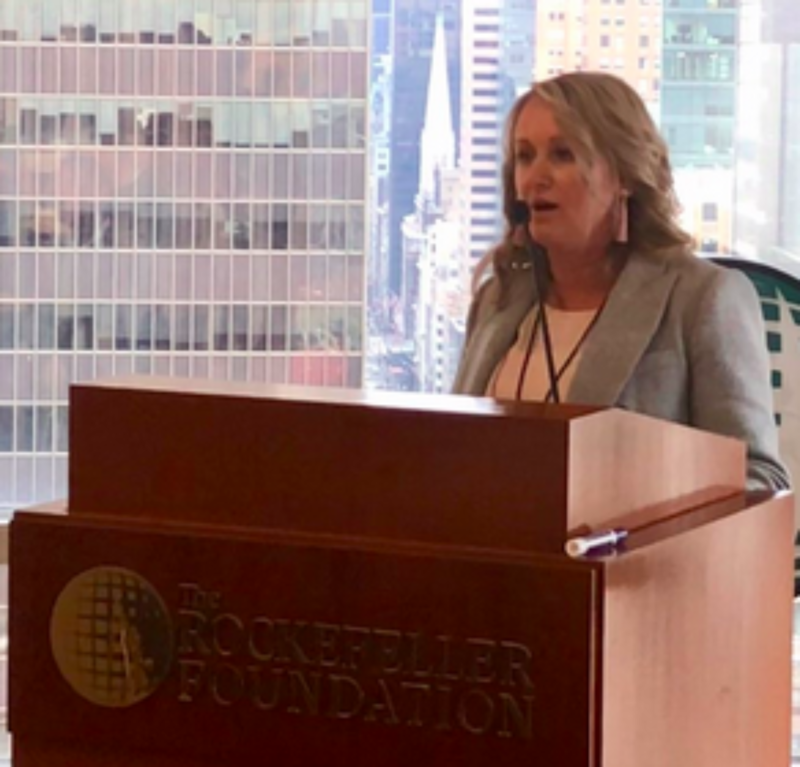 In addition, she recently participated in our annual Flying Labs retreat and was also speaker at WeRobotics Global 2019 where she shared her life-saving work. Jackie’s vision is to be a solution provider and the critical link between emerging drone (UAS) technologies, individuals, schools, enterprises and governments. Her aim is to implement evolutionary transformative services into work flows or to improve lives. As director of Hover UAV, a drone services and innovation company, Jackie has herself invented products now considered standard equipment to improving safety of life. Jackie’s strength lies in creating strong dialogue and procedures with regulators on a local, national and international level to ultimately implement revolutionary drone system integration to everyday life, in a way that does not inhibit technological advancement whilst not compromising safety. What’s more, Jackie has been directly involved in enabling regulations for Google’s cargo drone deliveries in Australia. During 2018 Jackie was made an honoree as a woman to watch in the UAS industry as well as being a finalist in the New South Wales Government business woman of the year awards, Optus business woman of the year awards and Australian small business of the year awards. We’re so very grateful that we get to learn from Jackie and that we get to benefit from her guidance. It means the world to us that she is already so engaged with the Flying Labs network. Please join us in welcoming Jackie to the WeRobotics Advisory Board!